Guys, I think I deserve a pat on the back for only bringing home five brushes after being surrounded by hundreds of beautiful brushes in Hakuhodo's Tokyo showroom. I have dreamed of visiting a Hakuhodo showroom for a long time - seeing some of the brushes at IMATS in 2014 only made me more excited for the day I'd be able to see the whole line in Japan. 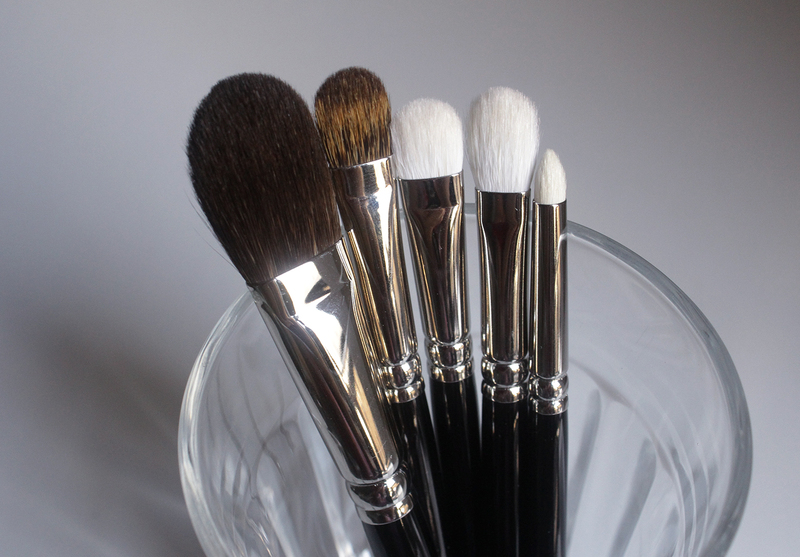 If you appreciate handmade Japanese makeup brushes, like the way some appreciate a finely aged wine or a new sports car, you'll know how I feel. If you don't particularly care about makeup brushes, then my excitement over getting to see Hakuhodo brushes in person is probably lost on you. But if you do love a great blue squirrel or a well crafted goat hair brush, definitely find a free-standing Hakuhodo store. The flagship store is in Kyoto but unfortunately I only had time to visit the Omotesando store in Tokyo. The full address is 3rd fl. Terra Asios Omotesando 5-10-6, Minami-Aoyama, Minato-ku, Tokyo, 107-0062. It's pretty much hiding in a nondescript office building - if you're not specifically looking for it, you'll easily miss it. I really appreciate Hakuhodo as a brush brand because they make brushes that both makeup novices and experts can use at various price points. 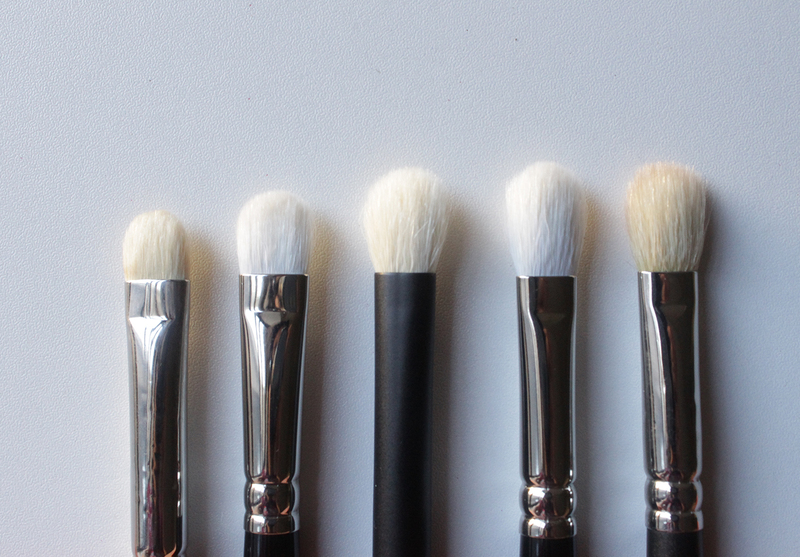 I would even go so far as to say their basic series goat haired brushes are affordable yet still beautifully made. Many of the Hakuhodo basic series eye brushes are both superior to Mac brushes and much less expensive. I picked up five basic brushes that I knew I would get a lot of use out of. Also, I picked all of them up in the short handle style. I believe most, if not all, of the brushes come in either short or long handles. I prefer short handles because I like to get really close to the mirror when doing my makeup and they're easier to travel with. B116BkSL - ¥4,700 (~$42) / retails for $59 on U.S. website - This is the priciest brush that I picked up but I have a thing for flat paddle shaped cheek brushes so I couldn't resist. It's a small brush that I like to use for blush and highlight. This brush is made of blue squirrel hair so it's incredibly soft and luxurious on the skin. B133BkSL - ¥2,500 (~$22) / retails for $32 on U.S. website - I didn't have this brush on my radar at all but while I was in the store I thought it was a unique brush that I didn't have in my collection yet. The hairs are Canadian squirrel and very silky. This actually feels like a synthetic brush in that it has a slight slip to it. This is really lovely for applying shimmery shadows all over the lid. B004GBkSL (also known as J004GBkSL) - ¥1,600 (~$14) / retails for $20 on U.S. website - This is a basic goat hair eyeshadow shading brush. In the above photo it's second from the left where you can see it's a smidge larger than the Mac 239 which is on the far left. J5523BkSL - ¥1,500 (~$13) / retails for $19 on U.S. website - Another essential brush and one that probably looks very familiar. This is the Hakuhodo twin to the famed Mac 217 blending brush. Another staple that I'll never be without. In the above photo, Mac's 217 is on the far right and the Hakuhodo brush is next to it. The middle brush is the Chikuhodo T-7. For reference, Mac is now selling their 217 brush for $25 and I believe their brushes are now made in China (I purchased mine years ago when they were still being made in Japan). G5514BkSL - ¥1,300 (~$11.50) / retails for $17 on U.S. website - I don't have enough pencil brushes in my collection and I really should have picked up two more of this one. It's a a great size to smudge out eyeliner and add depth to the outer corner or lower lash line. It's soft enough not to irritate my eyes at all but firm enough to not flop around. Two months since picking these up in Tokyo, I'm still smitten with my five picks. I had a wonderful experience at the Tokyo showroom and can't wait to return in the future. If you're thinking of visiting and have any questions, feel free to ask and I'll try to answer them!